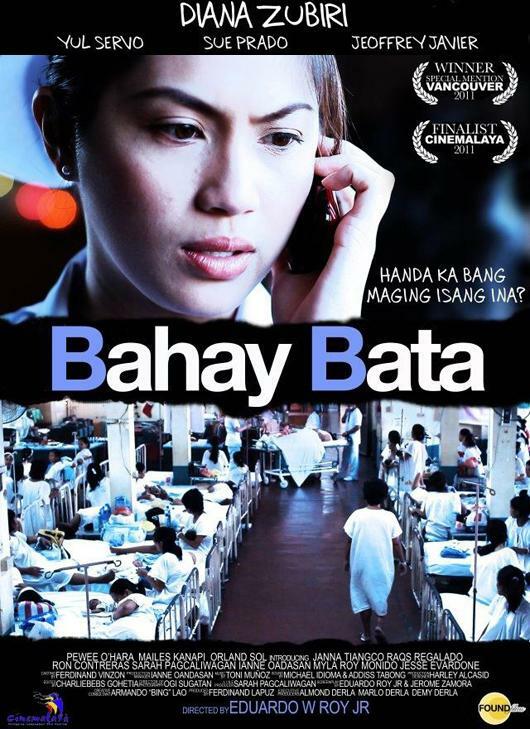 It was reported last night in 24 Oras that Diana Zubiri won an acting award in the indie movie Bahay Bata. They even showed a footage how the teary eyed Diana Zubiri accepted the award. It was even funny coz her speech was like she's really surprised and happy that her acting was noticed even though she only literally walked in the entire movie. Making further search and we found this. Diana Zubiri won the Best Performance Award in the prestigious 22nd Annual Circle Citations for Distinguished Achievement in Film for 2011 by The Film Desk of the Young Critics’ Circle.Diana Zubiri played a nurse in the film "Bahay Bata" which won the Jury Prize at the Deauville Asian Film Festival in France last March 2012. Diana Zubiri was taken out of the limelight when she gave birth.